I have to admit I was sceptical. I had seen Excel Workbooks which emulate a Gantt Chart. Some used a Bar Chart to do that, others used the Formatting features. However to make the thing “sing and dance”, surely you need proper Project Management software. Nevertheless, it set me thinking. 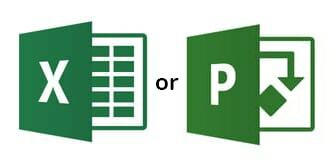 When would you use Microsoft Excel to plan projects? In what circumstances is Microsoft Project the right way to go? This is the third in a series of blogs on how to impose a corporate look or create a personalised style for your presentations. 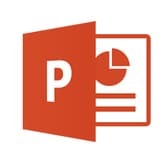 In Microsoft PowerPoint – Templates and Themes we saw that a Template is concerned with the Layout of slides; a Theme affects their Formatting. An important step in designing your own Theme is settling on an appropriate Colour Scheme. This was discussed in Microsoft PowerPoint – Theme Colours. The next thing to consider is choosing the correct Fonts. Our blog Microsoft Excel – Understanding Dates looked at how the program stores dates behind the scenes. We found that the date 30/06/2016 (which just happens to be my birthday) is actually stored as the number 42551. This Serial Number turned out to be the number of days since 1st January 1900. Serial Numbers make it easy to do arithmetic with dates. Want to know what the date will be in thirty days time? Just add 30 to today’s date and Excel will work it out for you. 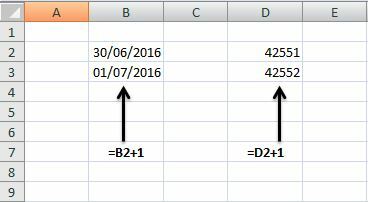 This time we are going to look at some the Functions Excel provides which work with dates. We will also explore some tricks to change the way a date looks. I did a workshop for three ladies from a local organisation. They had inherited a set of Microsoft Word documents which detailed the procedures that their department had to follow. The trouble was that they had little experience of the program. Looking at the documents, it was clear to me that the person who created them didn’t know much about it either! 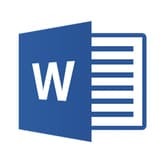 You see, if Microsoft Word documents are well designed, they are a dream to work with. However, if they are badly put together, altering them can be a nightmare. It seems as if the program is in control, not you. In a recent blog – Microsoft PowerPoint – Templates and Themes – we explored the difference between these two concepts. We found that a Template defines the layout and positioning of the objects on the various types of Slide in a presentation, whereas a Theme sets the formatting of those objects. Furthermore, we discovered that a Theme allows you to change Colours, Fonts and Effects to create a corporate look or personalised style for your presentations. This time we will concentrate on features to do with colour. 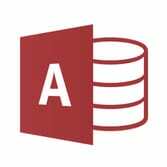 In James’s case, he was attempting to create a report in Microsoft Access. He wanted the elements he had put in the Page Footer area to appear only on the first page of the report, and this was proving difficult to achieve. A while back a client got in touch with me. Sarah had downloaded a file of financial transactions from her bank and loaded them into a Microsoft Excel workbook. When she looked at the dates against each transaction, something strange had happened. Every date was exactly four years and one day earlier than it should have been. What on earth was going on? When you enter (say) 30/06/2016, Excel doesn’t actually store those characters. Instead, it stores a Serial Number which represents that date. The Serial Number for 30th June 2016 is 42551. Where does that number come from? It’s the number of days since 1st January 1900 – honest! You can prove that by trying it the other way around. Type 10 into an Excel worksheet and then format it to look like a date. You’ll get 10/01/1900. Entering 10000 will give you 18/05/1927, while 20000 equates to 03/10/1954. The developers of spreadsheet programs decided to use this system so that arithmetic with dates was easier to organise – [incidentally, this is a concept which pre-dates Microsoft Excel]. If the dates were stored using the characters that you type (i.e. 30/06/2016), a formula to calculate an entry for the following day would be quite complex. Issues like “thirty days hath September” would have to be taken into account. What has this got to do with Sarah’s problem? There is no problem in having two systems, as long as you are consistent. The option affects an entire workbook so copying dates between sheets in the same workbook is fine. However, try copying a cell containing 30/06/2016 from a workbook using the 1904 system, to a workbook using the 1900 system. What you are actually copying is the Serial Number 41089. In the 1900 system this number gets translated to 29/06/2012. This is exactly four years and one day earlier than it should be – which was precisely Sarah’s problem! The earliest versions of Excel for the Mac only had the 1904 date system – (in fact hearing that Sarah was using an Apple Mac computer was my first clue towards solving the problem). Later versions gave you the option of choosing which system you wanted to use, as do Windows PC versions. The Mac designers remembered that the year 1900 wasn’t a Leap Year. The rules say that the first year of a new century is only a Leap Year if it is divisible by 400 – the year 2000 was one, 2100 won’t be. By staring their Serial Numbers at the 1st January 1904, they could avoid any complications arising from that fact. Interestingly, Lotus 1-2-3 (the market leading spreadsheet program of the mid-1980’s) allowed you to enter 29/02/1900 as a valid date. Its developers forgot about the 400 year rule. This gave Microsoft a dilemma when creating Excel. On the one hand they wanted the program to be accurate. On the other hand they wanted the two programs to work the same way – (so that they could lure the maximum number of users to move from Lotus 1-2-3 to Excel). They decided to deliberately leave the “bug” in place. 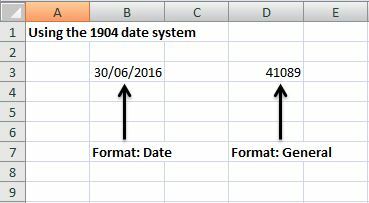 If you format an Excel date to show the day of the week, it gets it wrong for dates before 1st March 1900. How did I get the date 01/03/1900 to display Thursday? 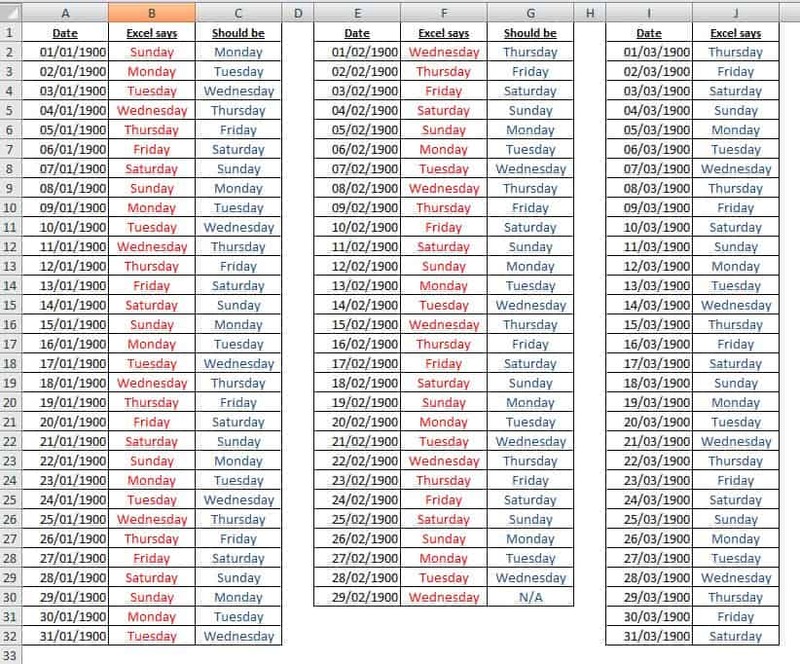 Find out about that (and a few more tricks for manipulating dates) in our blog Microsoft Excel – Working with Dates. 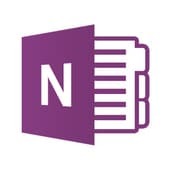 Microsoft OneNote – ever thought of using it? Even in this modern, digital age, I still get a lot of paper-based information through the letterbox. To keep from drowning in it, I do like to be organised (to a degree). I have ring-binders with Bank and Credit Card Statements in them. Others containing letters and offers. There is a folder with handwritten notes in it about the “New Garden Shed” project. Maybe it is an age thing, but I just feel more comfortable doing it that way. However, I’m a computer person as well. I’ve been tracking my Bank Statement in an Excel spreadsheet for years (it does do negative numbers!). 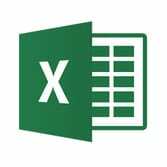 Excel is very structured; its rows and columns layout is well suited to storing financial transactions. The file of information about the shed isn’t structured at all, so finding things is tricky. I could type it all into a Word document, but the layout would be too formal. This is where Microsoft OneNote could come in useful.